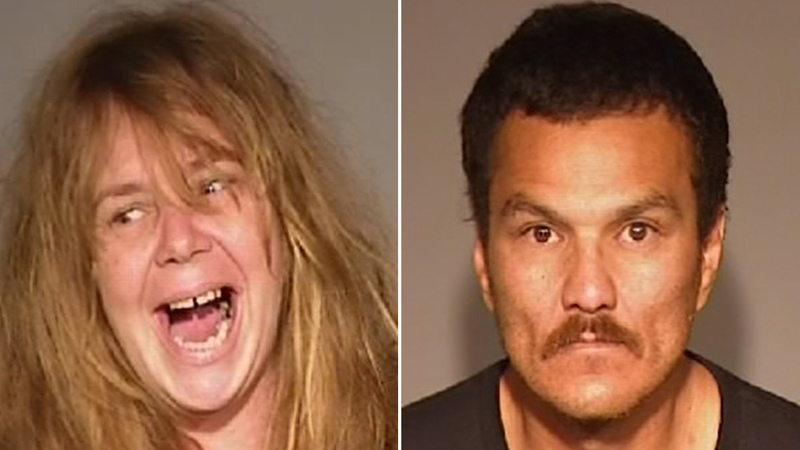 FRESNO, Calif. -- Authorities have arrested two people following a robbery and assault in Clovis on Tuesday afternoon. The suspects were identified as Melissa Williams, 41, and Richard Banuelos, 48, of Fresno. Clovis police say a 67-year-old woman was attacked by another woman outside a laundromat on Shaw Avenue between Villa and Minnewawa avenues before 1:30 p.m. The victim said she was putting her laundry into her car, when the suspect stole her purse and hit her in the head with an object. The victim was taken to Saint Agnes Medical Center for treatment and observation. Police tracked down Williams and Banuelos to the parking of the Walmart in Dinuba on Tuesday night. Authorities say they recovered the majority of the items stolen from the victim's purse. They also say the suspects were driving a car that was stolen from another person in Clovis. Both suspects were booked into the Fresno County Jail. They face charges of second-degree armed robbery, conspiracy to commit a crime, assault with a deadly weapon with force, harm to an elderly dependent adult, vehicle theft, and possession of a stolen vehicle. Police say the suspects are both in violation of felony parole.